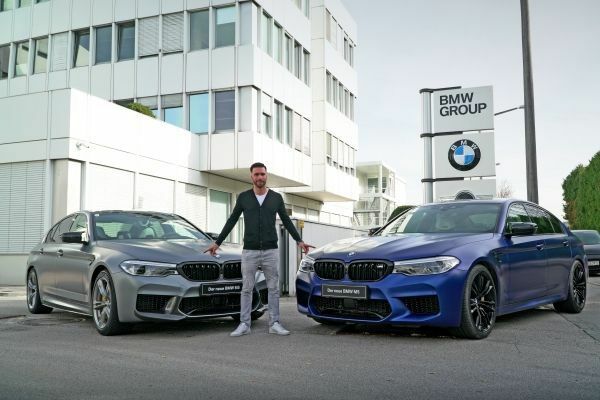 Philipp Eng (AUT) now has a new company car in his garage: the BMW DTM driver travelled to Salzburg (AUT) to receive his new BMW M5 Competition this week (combined fuel consumption in l/100 km: 10.8 – 10.7; combined CO2 emissions in g/km: 246 - 243). With 625 PS under its bonnet, the BMW M5 Competition is the most powerful model so far in the history of BMW M. It can accelerate from 0 to 100 km/h in an impressive 3.3 seconds and, with its M-specific damper setting and optimised M sports exhaust system, it is raising the bar in the high-performance sedan class. “The name says it all with the BMW M5 Competition,” says Eng. “The performance is unbelievable, and the torque is extremely good. I particularly like the sound, especially when downshifting. There are very few cars that achieve the balancing act between sports car and sedan as perfectly as the BMW M5 Competition.